Above is the version of Damjan Stanković. 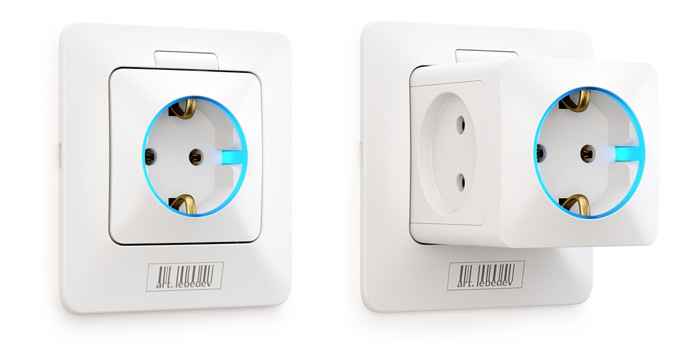 The retractable power socket shouldn't be very expensive if mass produced (it should cost similar to a wired multi-plug extension) and while it can be difficult to retrofit it could be easily implemented in new buildings and especially in modular drywall constructions. Exploded drawing of ArtLebedev's Rozectus 3D. According to both websites, the concepts appeared almost simultaneously. 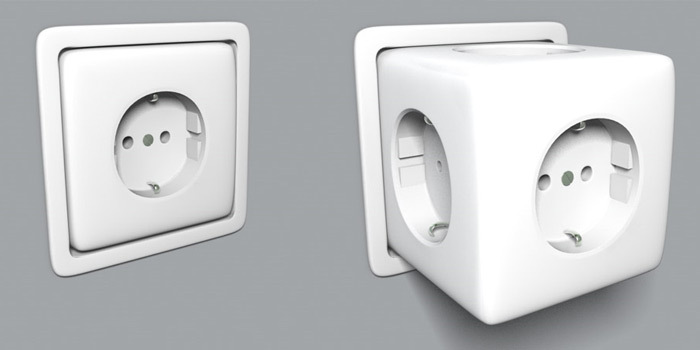 Stanković's "Letout Outlet" has won the 2009 reddot award while ArtLebedev's version looks a little more polished in the details.